Have you ever been on your phone, using the trusty old search bar, but unable to find a product you were just looking at yesterday? You were probably on the go, between meetings or waiting for a friend, with limited time. So you abandoned your search, coming away empty handed without the product you know is there somewhere. At Salesforce Commerce Cloud, we understand this frustration because we shop online ourselves, and because we work with global retailers facing this problem every day. This pain point is exactly why smart site search and artificial intelligence are so crucial to the future of retail, especially on mobile. Site search is important because it helps connect shoppers with the products they want, faster. This is particularly crucial on mobile where, according to our Shopping Index, shoppers spent just five minutes per visit in Q2, down from six minutes in Q1. But consumers who do use search are 2.4 times more likely to buy. They also drive more revenue, spending 2.6x more across retailers’ mobile and desktop sites compared to those who don’t use search. In fact, the 9% of shoppers who use search across Commerce Cloud customers drive nearly one quarter of their overall sales, according to a recent report by Commerce Cloud and SapientRazorfish. So it’s crucial that retailers use smarter search tools and provide shoppers with better search experiences that can have a big impact on sales. Salesforce Commerce Cloud is making site search smarter by infusing it with the power of AI. We can do this in two ways: first by empowering ecommerce teams with better tools, and second, by using AI to personalize the search experience so that each shopper sees a unique set of products, selected just for them. 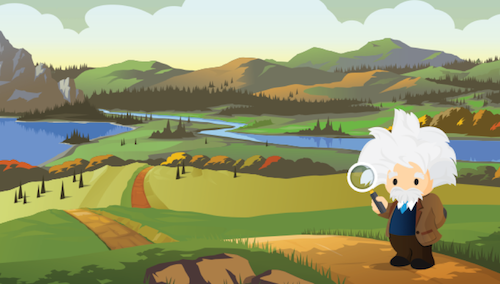 In our quest to make search smarter and drive greater results for retailers and consumers, we’re introducing Einstein Search for Commerce. 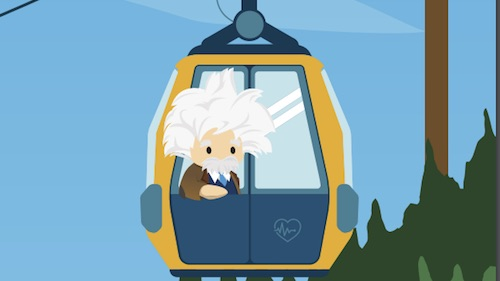 Einstein is a set of advanced AI features embedded across the entire Salesforce platform, powered by machine learning, deep learning, predictive analytics and natural language processing. AI-infused merchant tools help ecommerce teams take the plethora of commerce data sitting in their platform and turn it into value. Oftentimes the task of optimizing search is a manual one. Take, for example, building out synonym dictionaries. This involves combing through a lengthy search log to identify words that are being searched by the shopper but return no results, and then determining which existing synonym dictionaries to add those missing terms to. This is a lengthy process that often does not get completed or is completed inaccurately. By infusing searchandising tools with AI, we can skip that lengthy process. AI can surface these missing terms automatically and use powerful algorithms to suggest exactly which synonym dictionary they should be added to. The merchant sees the immediate benefit but the shopper ends up seeing better search results and far fewer “no results” pages. Merchants can make search even better by using similar powerful algorithms to power personalized search on site. Before a shopper even types a single letter into the search bar, they are presented with drop down search recommendations, just for them. It’s the Googlification of site search. Here, AI uses the shopper’s previous behavior along with all other shopper behavior collected on the site to power 1:1 recommendations, helping them find the products they want (or products they didn’t even know they wanted) faster! Personalization is being infused into so many aspects of the consumer experience, from product recommendations, personalized home pages, marketing offers and more. The extension of AI-based personalization to site search is natural and powerful, and will provide retailers with a gateway to higher sales and deeper customer loyalty.